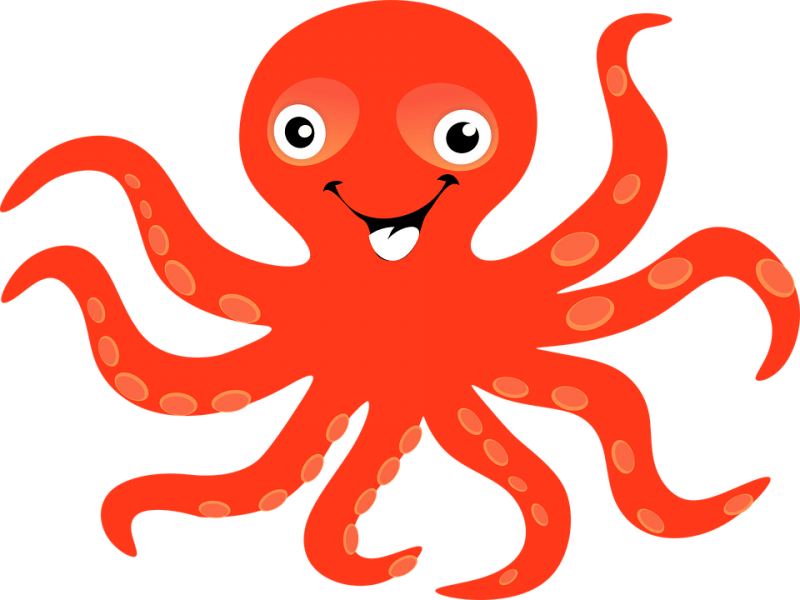 Despite stemming from phylogenetic lineages separated by 500 million years of evolution, octopuses and humans surprisingly have a lot in common. Of all the marine creatures, octopuses are extremely cognitively sophisticated and are capable of basic reasoning and learning. For example, a study in 2003 demonstrated that octopuses could learn how to crew off the lid of a childproof waterbottle without watching another octopus do it. There is also recent evidence that octopuses may use tools, once thought to be to sole province of humanity. Now, a new study shows that octopuses share another characteristic with human beings; a penchant for recreational drugs. A study published recently in Current Biology showed that ingesting MDMA, the active chemical in the recreational drug molly, makes normally solitary and independent octopuses more sociable and friendly, just like in humans. The point of the study was to investigate neural pathways in invertebrates that are shared with vertebrates. As it turns out, the gene that encodes for serotonin transport is shared between octopuses and humans. This finding makes it more likely that other social animals share the same neural serotonin pathways, as the presence of serotonin pathways in two species that diverged 500 million years ago indicates that the genes encoding those pathways are ancient and likely shared all over the animal kingdom. Although they are smart and can perform complex cognitive tasks similar to humans, octopus physiology is radically different from that found in humans. In addition to being an invertebrate with an open circulatory system, having 8 arms, and being able to change color at will, octopus neurology is quite alien. Human beings have a brain that is a central mass, residing mostly entirely in the skull. An octopus’ “brain” is not even localized in its head; it is distributed through the body of the organism with 2/3rds of the neurons concentrated in its arms, dedicated to their precise functioning. The remainder of the neurons is clustered in a central mass around its esophagus and 2 lobes behind the creature’s eyes. Despite this radical difference in the organization of octopus neurology, octopuses have similar neural mechanisms for the uptake of serotonin. 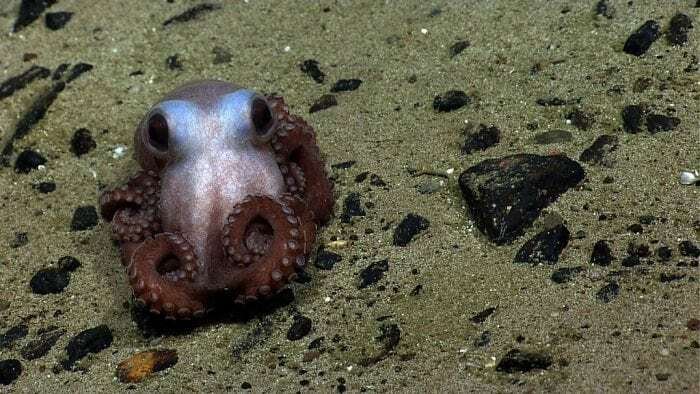 In the current study, the researchers ran a complete whole-genome sequence of the species Octopus bimaculoides, also known as the California two-spot octopus. Genome sequencing determined that the DNA of O. bimaculoides shows clear genetic orthologs of the human gene SLC6A4, the gene that encodes for serotonin transport, the principle binding site of MDMA. The same genetic panel compared the O. bimaculoides genome with a number of other species, indicating that orthologs of the SLC6A4 gene are also found in fruit flies, earthworms, almost every vertebrate mammal. It is well known that for vertebrates such as humans, serotonin stimulates pro-social behavior, so it makes sense that social species of vertebrates have evolved to utilize the nifty chemical. Interestingly, SLC6A4 orthologs were not found in species of insect known to be eusocial like bees, ants, and wasps. All of this genetic talk is fun and great, but what happens if you actually give an octopus MDMA? Well, that is exactly what the researchers did next—you know, for science! The team adopted a 3 chamber testing setup normally used for investigating rodent behavior. The setup consisted of 3 equally sized chambers, with a novel object, such as a ball, and a novel conspecific situated in the lateral ends, as well as an empty center chamber. 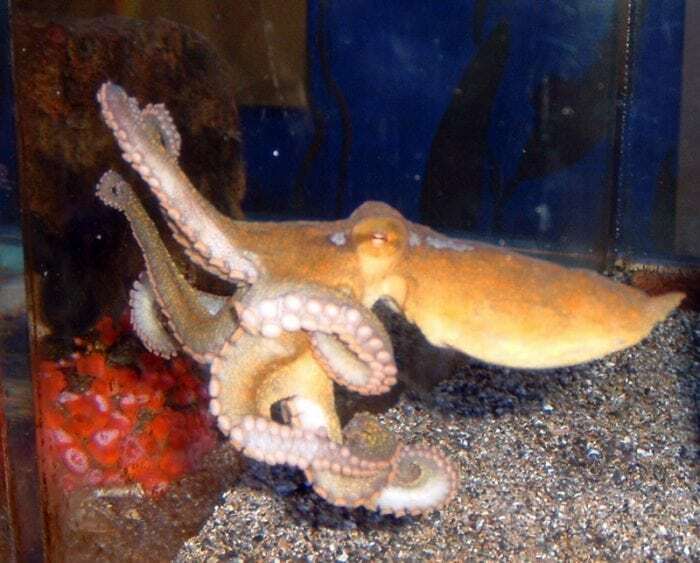 Initial observations showed that when the conspecific was a female social object, both male and female octopuses were more likely to spend time in the “social zone.” Conversely, when the conspecific was a male, both male and female octopuses preferred to go play with the object on the other side of the tank instead, indicating that both male and female octopuses prefer interaction with female conspecifics rather than male conspecifics. Next, the researchers took the octopuses and paced them for 10 minutes in a solution containing MDMA, then returned them to the tank to observe and changes in behavior. Primarily, they were looking to see if MDMA would make octopuses more likely to approach male conspecifics, a social object that they normally are averse to. As it turns out, octopuses who ingested MDMA spent significantly more time in the social zone interacting with the male conspecific. Tracking the octopuses movements indicated that it still moved the same amount as before ingesting MDMA, so the increased time in the social zone is not a result of the octopus being more energetic. Additionally, the qualitative nature of the octopuses interactions radically changed. Pre-treatment, if the octopus spent any time at all in the social chamber with a male conspecific, direct contact with the octopus was limited, mostly just one extended arm. Post-treatment social interactions were characterized by “extensive ventral surface contact.” In other words, the two octopuses started touching each other extensively with their arms in an exploratory rather than aggressive nature, almost as if they were trying to give an 8-armed octopus hug. The researchers claim their observations provide evidence that octopuses have existing neural mechanisms serving social behavior that are normally suppressed. Pharmacological manipulation can pull out these extant mechanisms and make them apparent. 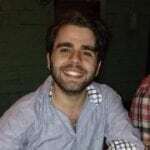 The observations also provide evidence that the function of the genes encoding for serotonin transport are conserved over evolution, a thesis that has found much evidentiary support considering the documented pro-social effects of MDMA ingestion in a number of species, humans included. MDMA has recently entered clinical trials on humans for treating mental issues such as PTSD or other forms of trauma, so understanding the ubiquity of neural serotonin pathways in living organisms is a route to developing effective MDMA treatments for humans. The more scientists discover about octopuses, the more fascinating they become. Octopuses used to be considered among the more “primitive” species lower on the evolutionary chain, but recent work shows that octopuses are cognitively complex and potentially have a very vivid mental life. Now we have evidence that social behavior can be stimulated in octopuses via the same mechanisms as in humans. Despite 500 million years of evolutionary divergence, octopuses and humans may not be so different.